It’s a Tuesday night in June, and hundreds of women of color in communications arrived in their finest floral dresses for a luau at the Ritz Carlton Kapalua. One by one, each is welcomed with a lei made of the most fragrant fresh flowers. They’re treated to traditional Hawaiian entertainment and a meal. The event closes out another day of the ColorComm Conference in Maui. Speakers during the three-day retreat included MSNBC “AM Joy” host Joy-Ann Reid, Girlboss CEO Sophia Amoruso, and Endeavor’s Chief Marketing Officer Bozoma Saint John. 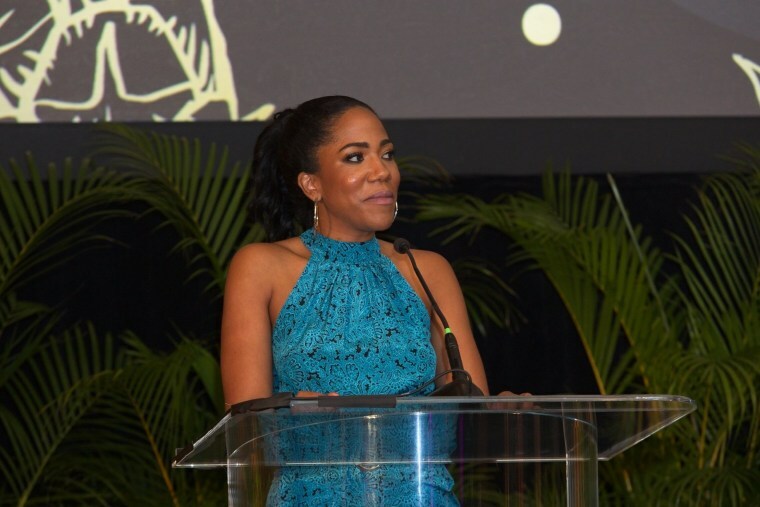 This fifth annual conference represents an important milestone for ColorComm’s founder Lauren Wesley Wilson. Just seven years earlier, ColorComm’s founder, Lauren Wesley Wilson, was 26-years-old and working at a public relations and communications agency in Washington, D.C. As she examined her goals and looked across the company, she realized there were no people of color in the executive levels of leadership. The troubling observation led Wesley Wilson to organize a series of invitation-only luncheons where she heard from her peers – and learned shared the same concerns. Eventually, that turned into the creation of the Women of Color in Communications organization followed by conferences, a fellows program, a millennial summit, and ultimately, Wesley Wilson leaving her agency job to devote her time to increasing diversity and inclusion initiatives throughout the communications industry. As a result, Wesley Williams has created a community of women of color who are shattering glass ceilings and aspiring to make their presence the norm in public relations, marketing, and other communications fields. ColorComm members are given access to learn firsthand from executives. But there’s also an expectation that they assist one another and those who may have less experience. The reminders about personal responsibility also come with a healthy dose of support. Traditional networking is discouraged; instead members are urged to create meaningful relationships. “I want people to step outside of their comfort zone. I really want them to get uncomfortable in new spaces and place. Set out to meet new people and most importantly really connect with genuine intent,” Wesley Wilson advised. Wesley Wilson has established an atmosphere where goals and dreams, often kept quiet in the workplace, are shared freely and are supported. Her program unites women who come from different places but are bonded by a shared experience. Daily views of the Pacific Ocean didn’t hurt either.